I thought this infograph on the most popular vegetable in each state was interesting. I have to agree that potatoes are definitely a popular vegetable in Wyoming - as in "Steak and Potatoes." I can't believe that broccoli is popular in so many states and that only one state (Idaho) has peas as a popular veggie. 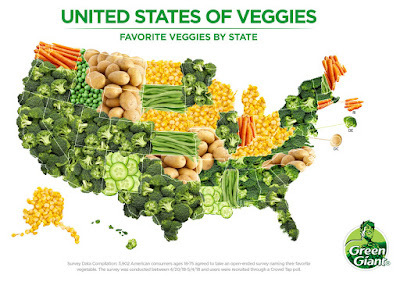 Do you think the vegetable selected to represent your state is correct? 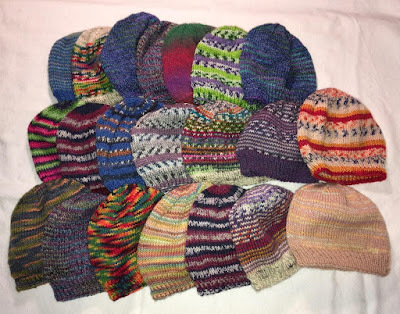 I finished two baby hats on Sunday and discovered that the box of completed hats was full. Time to mail the scrap sock yarn hats to Brenda A. for the Rankin Inlet babies. This morning, I bagged the 21 hats and sent them on their way to bring warmth to some sweet babies. 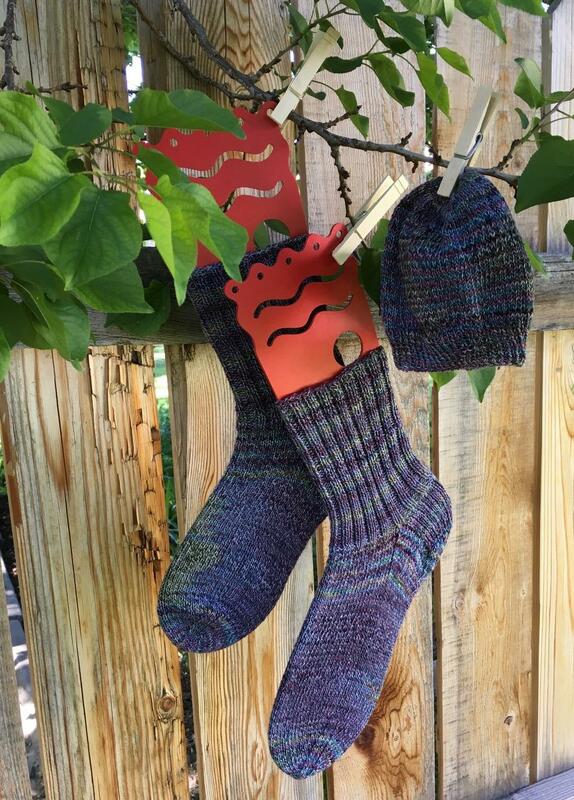 your pal should have their yarn by July 3rd. something red, white and blue, and ONE BUTTON. 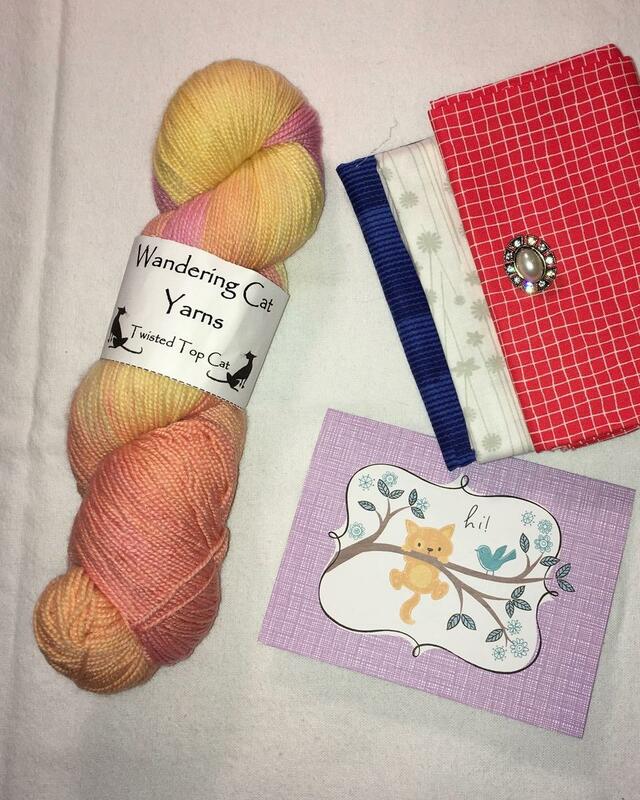 Valerie (Wandering Cat Studio) sent a skein of luscious wool, cashmere, nylon sock yarn (Fruit Smoothie), three fat quarters and a vintage button. Thank you, Valerie! I love all the items. Kathyb, thank you for hosting another fun swap. 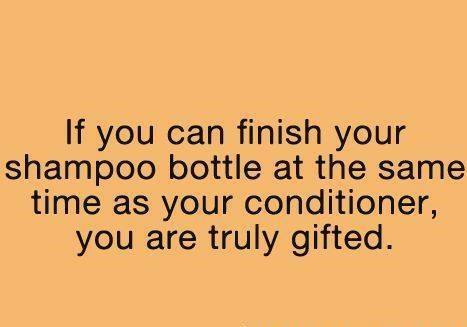 I go through two bottles of shampoo before I even finish one bottle of conditioner. Square Dance was a fun mystery quilt along because I didn't have a clue how the units would come together. 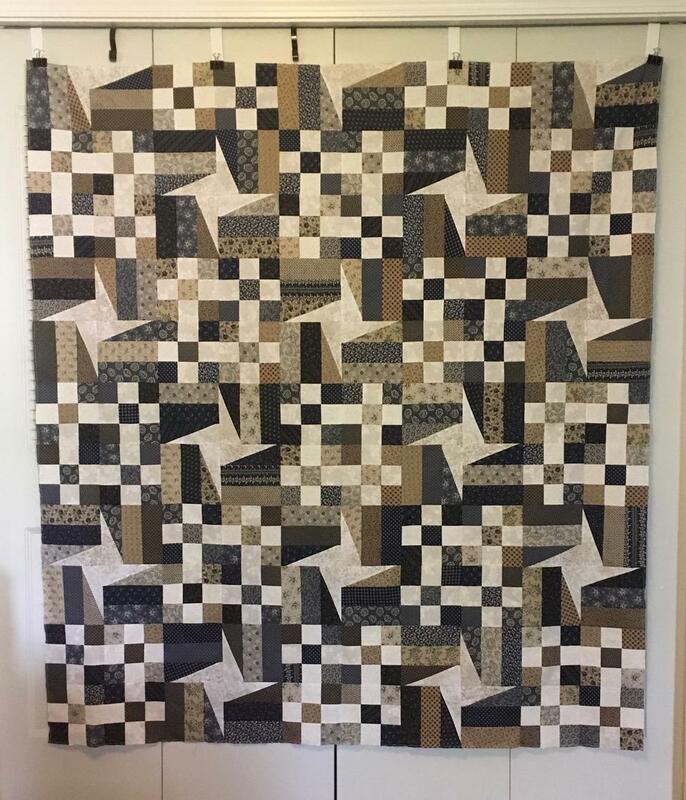 This was fun to make from my Tavern Blues' scraps. The clues for this mystery are only available on Carole's site until June 30, 2018. If you want to make this quilt, download the clues before they disappear. Brenda (my niece) snapped this photo on her daily walk. It appears that someone in the sign department failed spelling. . .
Tavern Blues is one step closer to being finished. 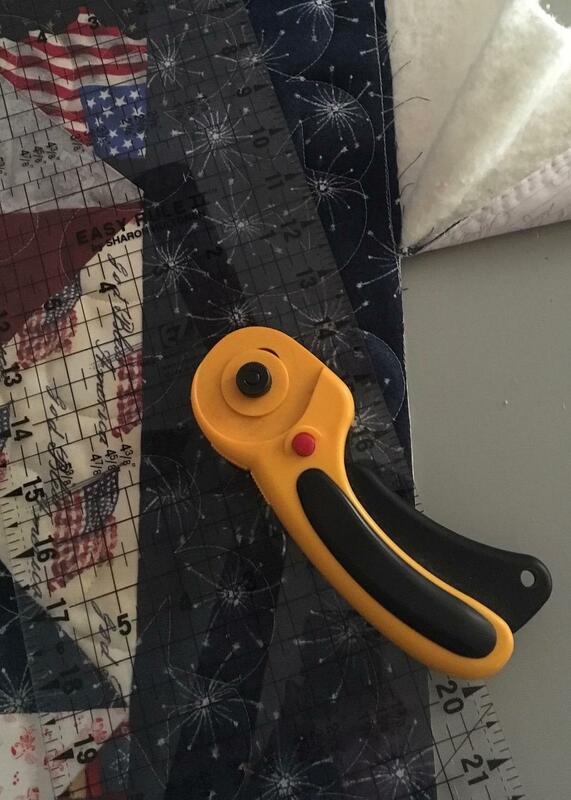 I attached the binding to the front side of the quilt and will begin hand stitching the binding to the back. The hand stitching is a task that I do not enjoy. 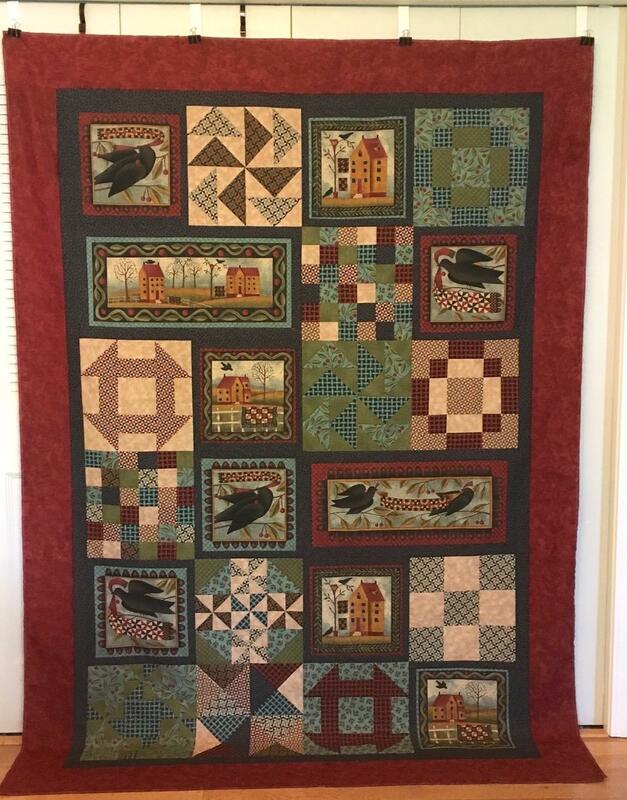 This quilt is large (96 inches square), so I may have to bribe myself in order to get it done. How do you motivate yourself to work on tasks that you dread? Blogger reported that the problems bloggers have been experienceing the last two weeks are now fixed. My fingers are crossed that they are correct. Two afternoons last week, I sat on the deck while reclaiming yarn from a sweater I purchased for $1 at a garage sale last August. I forgot to take a photo of the turtleneck sweater before I started. 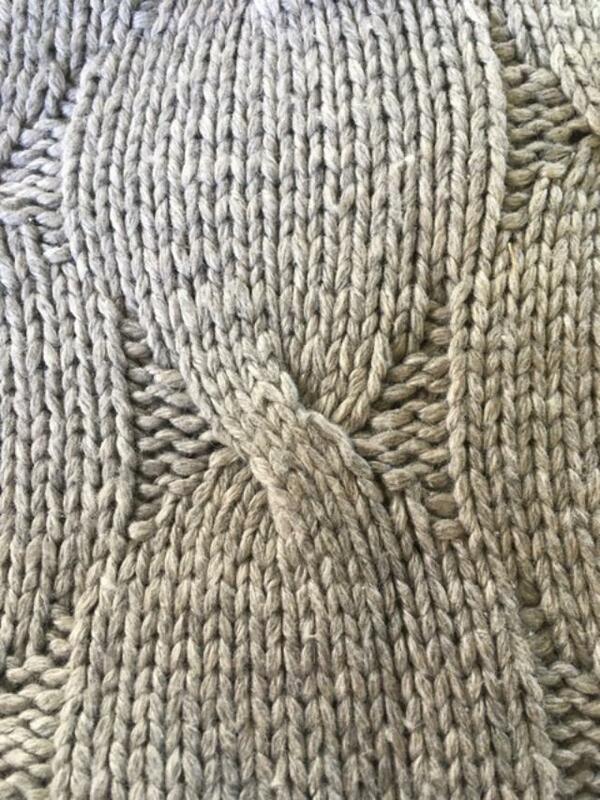 The sweater label states the fiber content: 85% silk and 15% cashmere. 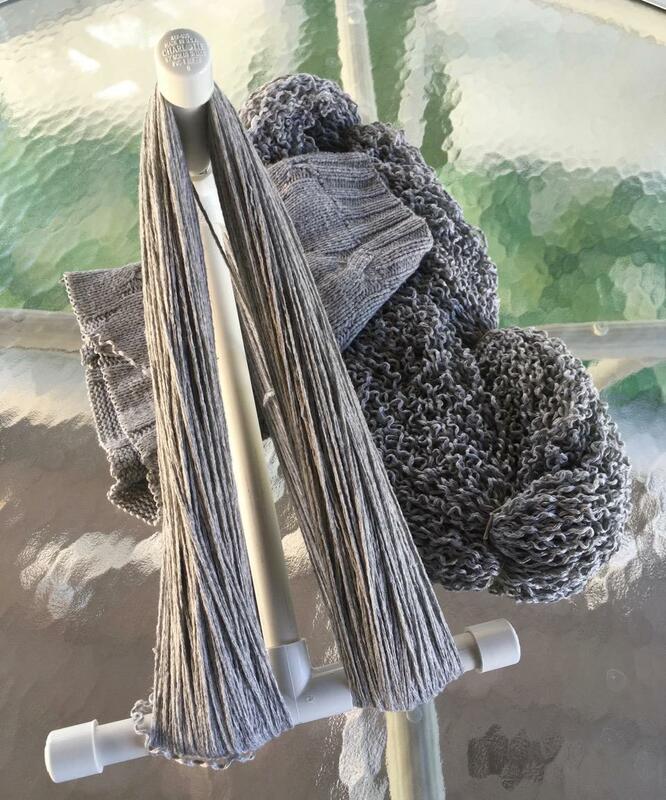 The sweater pieces came apart very easily and the raveling proceeded without a hitch. I love my PVC niddy noddy for winding the yarn into a hank. 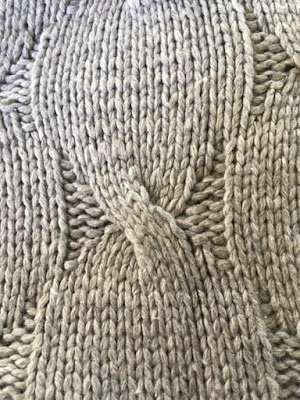 I was surprised that the three-needle bind off was used on the shoulder seams of this sweater. It's a technique rarely seen on commercially produced sweaters. 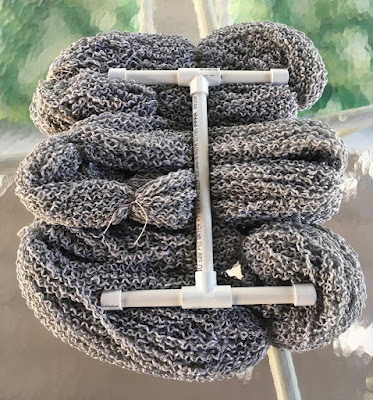 The yarn still needs a bath to clean the fiber and to relax the kinks, but that will wait for another day. I have plans to knit a shawl with this yarn. 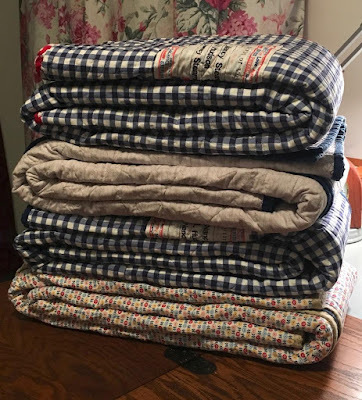 Saturday, my sewing machine was humming: I had four Quilts of Valor that needed binding. I prepare the binding when the quilt is sent to the longarmer, so when the quilts are returned, I trim off the excess backing and batting and sew the binding on both sides. 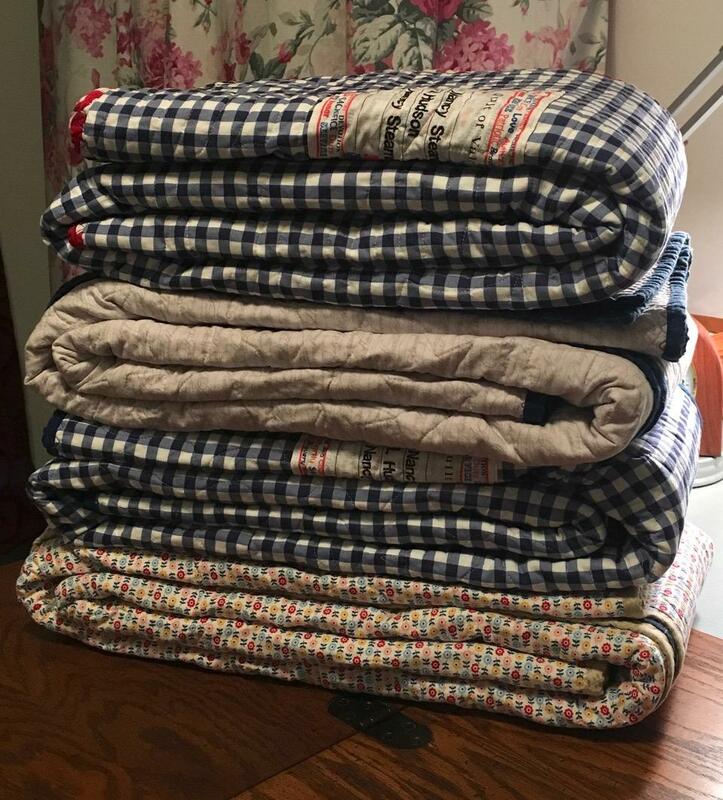 I always launder the quilts with a color catcher before sending them to the QOV coordinator for distribution. The final clue for the Square Dance mystery QAL was revealed on Friday. I haven't had time to do any sewing on it yet, but I did lay out the units to get an idea of how it would look. 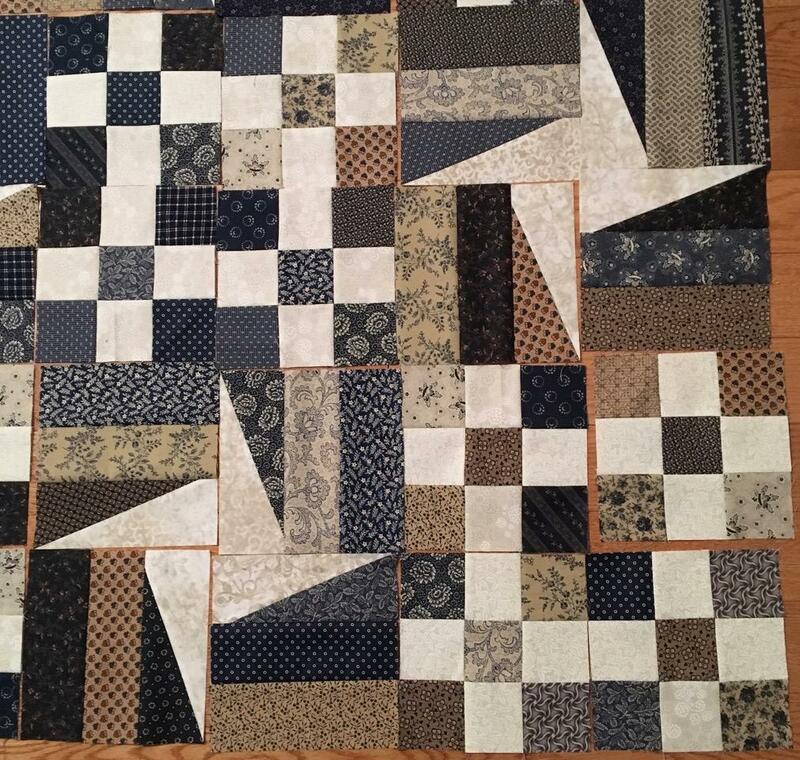 I've got lots of sewing ahead of me, but I love how this one is going to look when it's done. Last week, I spotted a lemonade stand on a neighborhood sidewalk, but to Maxine's dismay, I highly doubt the little ones manning the stand were spiking the drinks. 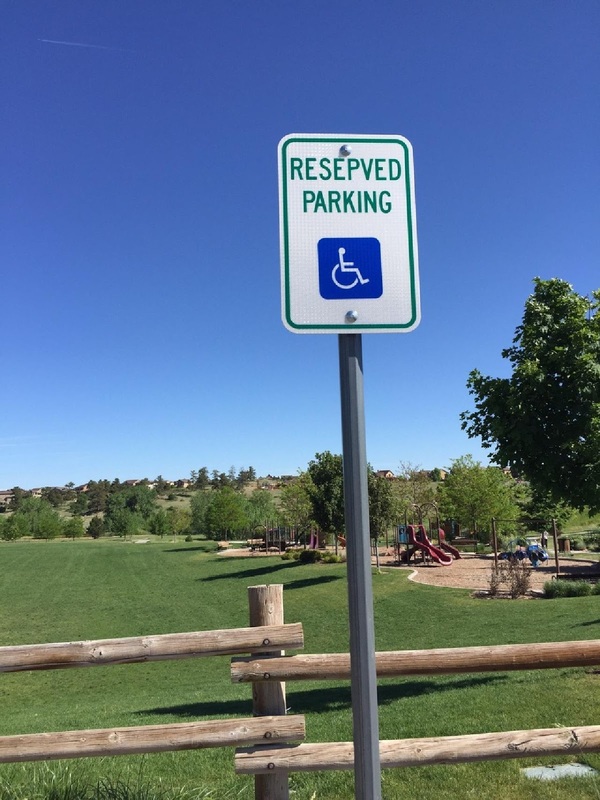 Some communities are requiring permits for the small stands because they've had complaints by local businesses. Country Time Lemonade's Legal-Ade program sounds interesting, but I wonder if it's more of a PR stunt than an actual program. I rarely stop and purchase from the young entrepreneurs. Do you? I just started listening to The Break Down by B. A. Paris. 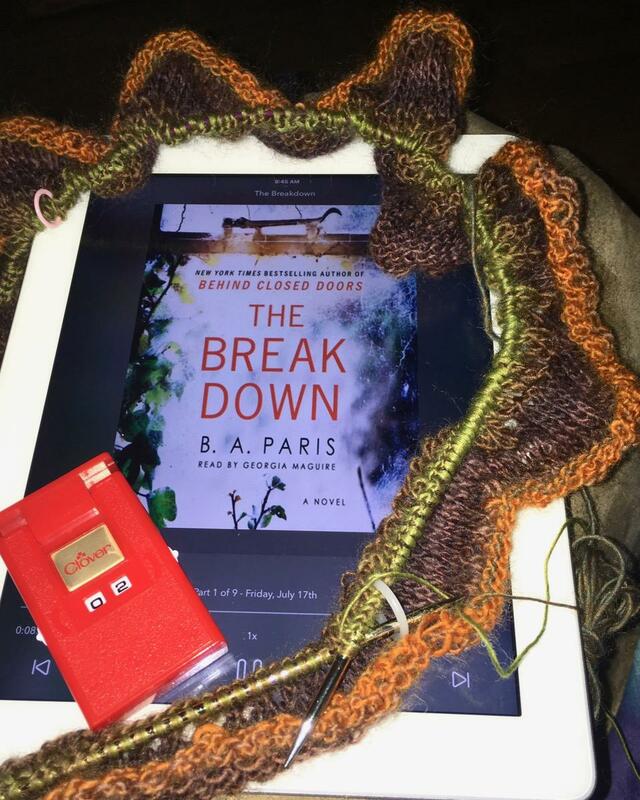 I hope that it will be a good book to listen to as I knit the Ombre Eyelet Infinity Scarf. 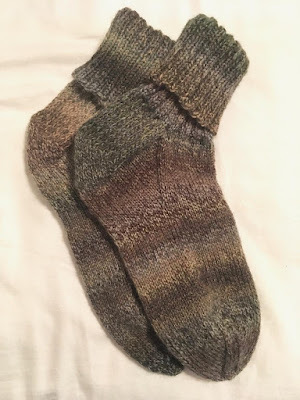 (Ravelry link) It's too early to tell if the book and/or the pattern are keepers. Fierce Kingdom is a believable and exciting book: if I read the actual book, I'd say it was a "page turner." The story lingered with me for days after I finished it, which doesn't happen often. 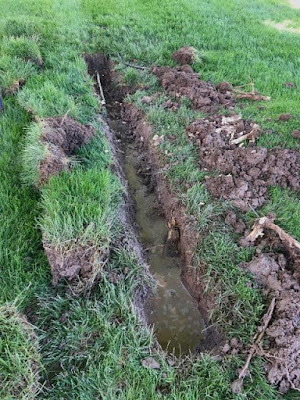 When the sprinklers were turned on a couple of weeks ago, two in the front yard were not working correctly, so I called Walt C. to come by and repair them. 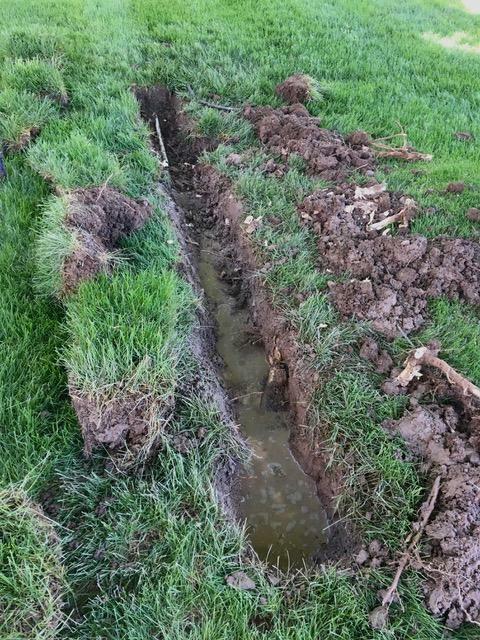 He assessed the area and discovered the ash tree roots had created a kink in the PVC pipe, resulting in limited water flow. Once the problem was discovered, Walt set to work and made the repair. I am pleased with the work that Walt has done for me the last few years: repairs to an aging sprinkling system, winterization, and sprinkler adjustment. He is a pleasant young man, and his repairs are reasonably priced. If you need someone to maintain, repair, or install a sprinkling system, contact me for Walt's phone number: I highly recommend him. 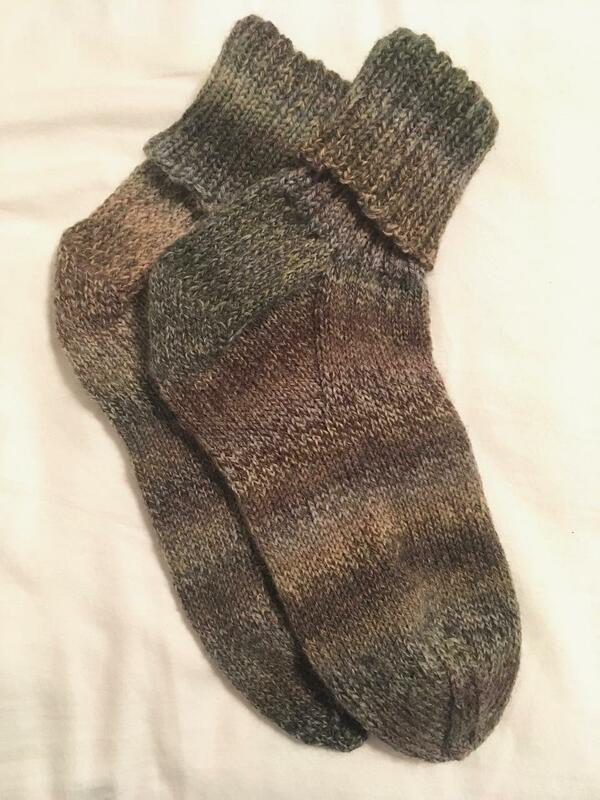 As I knit these socks, I was intrigued how the yarn seemed to change color depending on the lighting conditions. 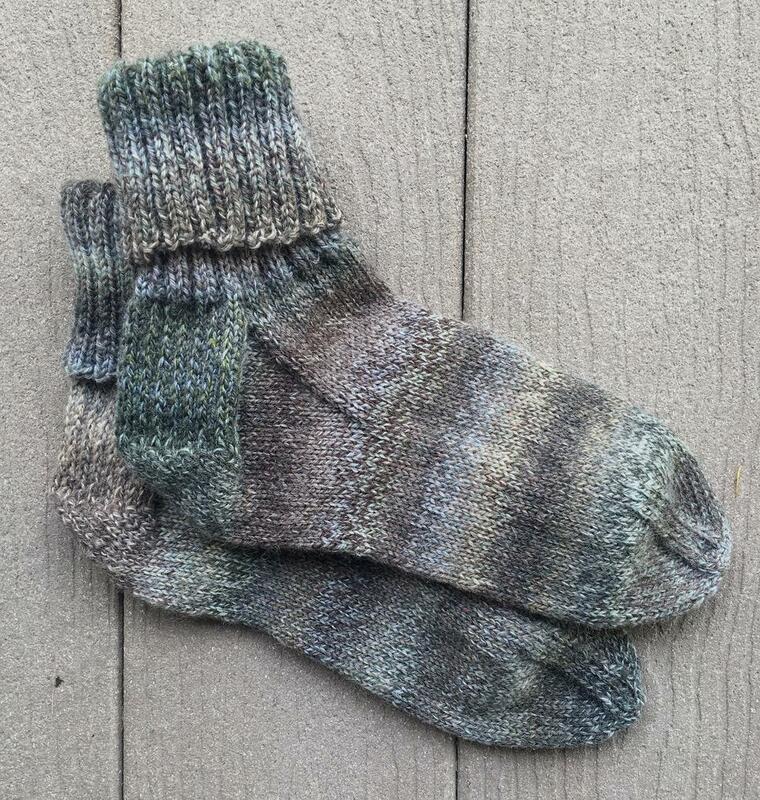 Under artificial light, it tends to be brown and gray, but under natural light it has more of a green tint. 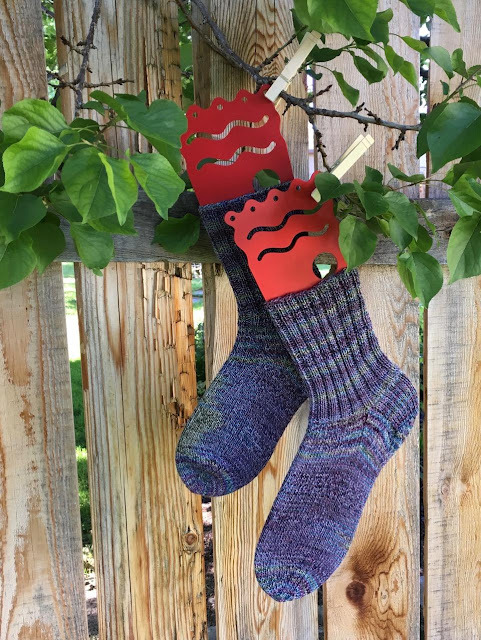 These are my chameleon socks - pair #8 for the 2018 Box of Socks. 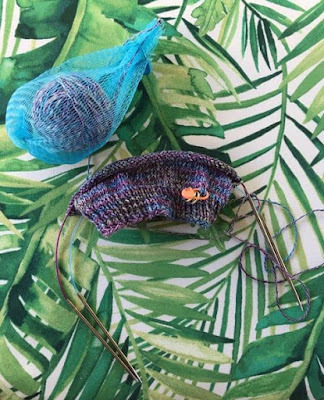 It's wonderful to sit on the deck in the afternoon to knit on small projects like socks and baby hats. 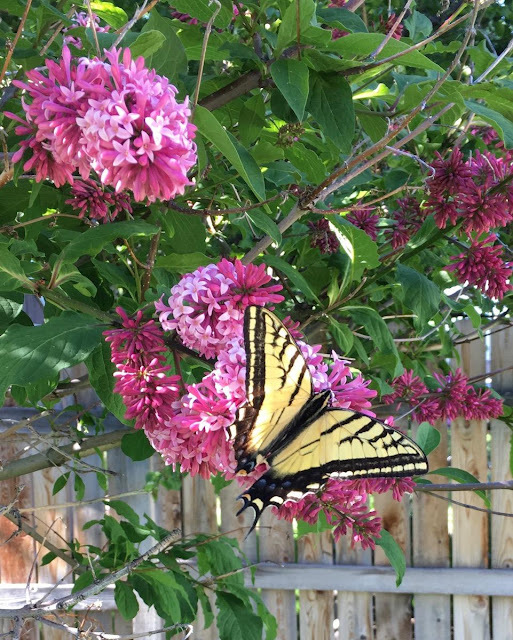 Winter's cold is is distant memory, as the warmth of early summer makes itself at home. I intended to finish this QOV in May but got sidetracked and finished it on June 1, 2018. The red gradient fabric was much different than any I've used before - mottled and almost batik-like. I told my niece the fabric looks like a tomato soup factory exploded. Note: As I stated in an earlier post, two vertical rows were added in order to meet the minimal size requirement for a Quilt of Valor. 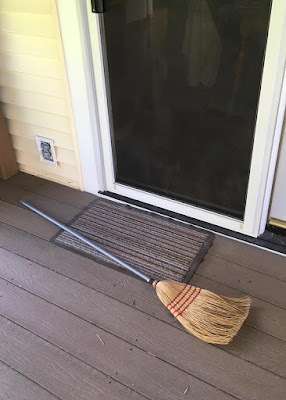 I found the broom in front of the deck door on Friday after a strong wind knocked it over. Mom always said this meant that company was coming, and ironically, Marilyn and her husband arrived yesterday for a brief visit. While the main section of this quilt was assembled at Marilyn's house when I visited in April, the top could not be finished until the border fabric (ordered from a Colorado quilt shop) arrived in the mail. 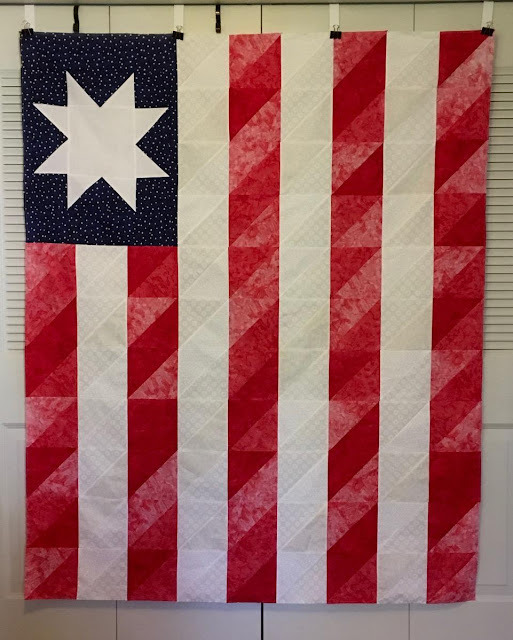 On May 29, 2018, the quilt was measured, the fabric cut, and the outer border added to the top. 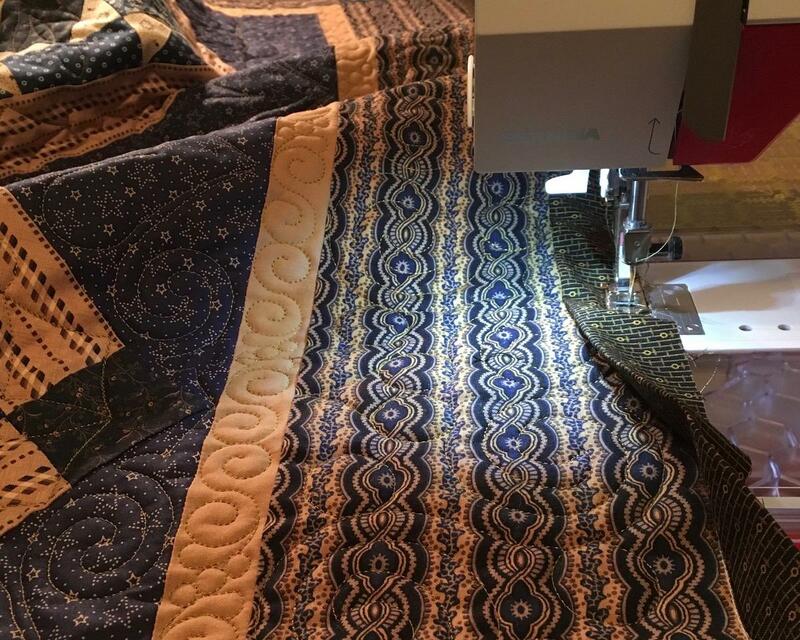 Once the backing is prepared, this UFO will be quilted and one step closer to being finished. 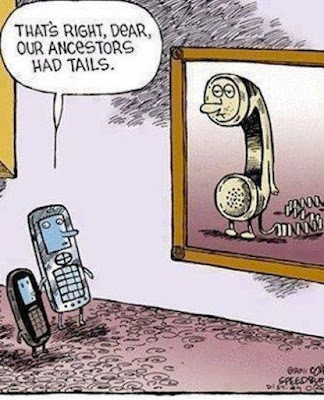 Do you still have a telephone with a "tail"?